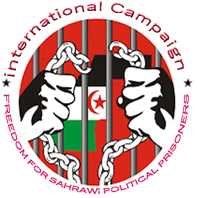 Shaheed Alhafed (Refugee Camps), March 31, 2019 (SPS) – The organisations of Sahrawi civil society has addressed a letter to His Holiness Pope Francis, calling on him to exhort the King of Morocco to abide by the international legality and law and respect the will and rights of the people of Western Sahara. The undersigning associations and civil society actors, would like to address Your Holiness, to raise the issue of Western Sahara, the last colony in Africa, illegally and militarily occupied by Morocco, to which you are paying a visit. Western Sahara, as Your Holiness well know, was a Spanish colony until 1975, when Spain unilaterally and irresponsibly withdrew leaving the country to the Moroccan military invasion and occupation, while it was supposed to organize a self-determination’s referendum for the Saharawi people to enable them get their freedom. The UN is trying to convince Morocco to end this last case of colonialism and occupation in Western Sahara, and the two parties to the conflict, Polisario Front and Morocco, are meeting these last months in Geneva in direct talks under the supervision of the UN Secretary General’s Personal Envoy, Mr. Horst Kohler, yet there are many issues that directly affect the lives and fate of the people of the territory that needs your attention. Morocco, as the occupying force, is committing all sorts of human rights violations. A simple glance on the latest reports and press releases of all international and Saharawi human rights organisations would disclose the seriousness of these violations. The UN Mission, MINURSO, deployed in the country since 1991 is one of the few, if not the only, UN Mission without Human Rights protection mandate, and is therefore, a passive witness of gross and systematic human rights violations that go unpunished for decades, including extra judiciary execution, assassination, forced disappearance, arbitrary detention, torture etc. Likewise, the Moroccan occupation, supported by some foreign States and multinationals,is illegally exploiting and plundering the natural resources of the territory. For example, the European Union has lately renewed a trade agreement with Morocco that includes trading in goods originating from occupied Western Sahara. This act was considered illegal by the European Court of Justice in two landmark rulings in 2016 and 2018. Morocco does not have sovereignty over the territory to sign agreements with third parties allowing them to plunder our resources. Breaking such deals with the occupying force only encourages Morocco to maintain this illegal occupation and worsen the political and humanitarian situation in the territory. The occupation also caused the second oldest case of refugees in the world. Since 1975-76 thousands of Saharawis fled their country to find refuge in the South-West of Algeria. 43 years later they are still relying on meager humanitarian aid, suffering the hardships of refuge in one of the most inhospitable desert in the Planet. In many occasions, their situation is used against them by some international actors, who are trying to force them submit to the will of the occupier in exchange of aid relief. We are addressing you this letter today to ask you to raise this question with the King of Morocco and the Moroccan authorities. Morocco must abide by the international legality and law and must respect the will and rights of the people of Western Sahara. Morocco was unable so far to end this situation because all the proposals and attempts it is trying to impose are illegal, and most importantly rejected by the people of Western Sahara, the sole holders of sovereignty over their land. Morocco will win a lot by finding a just, lasting and acceptable solution that provides for the right of the Saharawi people to self-determination and independence. Any attempt to impose a unilateral solution will never be just or lasting and will never end this problem. Any non-democratic and illegal solution will just create more conflict and confrontation that would affect not only the people of the territory but also the whole region and Europe. Meanwhile, Morocco and other involved actors, such as the European Union, should at least stop the plunder of the Saharawi resources until the resolution of the conflict. Morocco should also respect human rights in the territory and put an end to the exactions and abuses committed by its authorities against Saharawis who reject the occupation and defend their people’s right to self-determination, independence and freedom. It is time, Your Holiness, to raise these issues and others with the Kingdom of Morocco. It is time to advise it and offer it a chance to remedy to all its past sins and crimes against the people of Western Sahara, and help build peace in the whole region.